September sees the seasons change and a fantastic three game release from Microgaming. Best of all it’s a series release, meaning we get to see the entertaining 25 line ‘So Much More’ slots series come to life with: So Many Monsters, So Much Candy and So Much Sushi. The So Much Candy slot definitely took its inspiration from the popular social game Candy Crush, only Microgaming added in the missing ingredient – winning real money! Whether it’s the excitement of an exploding gumball machine or seeing candy hearts split into a 25x bonus prepare to satisfy your sweet tooth! So Many Monsters slot definitely has the same appeal as Monster Inc, with funny, non-threatening, characters while never coming across as childish or cheap. The monster feel is support by splashes of ooze on the Wild Symbols and a dizzyingly hypnotic eye that heralds in the free spins bonus round. Although So Much Sushi is not the first sushi themed slot we’ve seen from Microgaming it is by far the best executed. With excellent graphics, fun interactions (wait till you see the sushi tray spin round) and the inclusion of the Japanese coins on the big win screens this is one tasty new online slot. An exciting feature of the series is the inclusion of a variable Free Spins bonus. You choose if you would prefer more free spins (with a smaller per line payout) or fewer spins (with a larger win per line). Select either: 8, 10, 12, 14 0r 16 free spins ,but keep in mind the wins are 3200, 2800, 2400, 2000 or 1600 per line respectively. 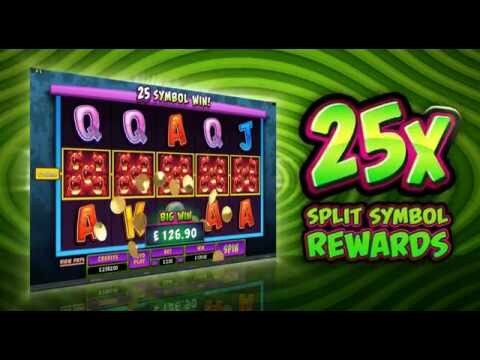 On top of all of this they’ve also included a Split Bonus multiplier which sees any winning high end symbol split into as many as 5 of itself, opening the door for a potential 25x Bonus multiplier.